Arthur Miller was not the first nor will he be the last dramatist to take on a topic as disturbing and potentially controversial as the Holocaust. A short list would have to include plays and films like The Diary of Anne Frank (1956 Tony for Best Play, Pulitzer Prize for Drama), Judgment at Nuremburg (1961 Academy Award for Best Screenplay), Schindler’s List (1993 Academy Award for Best Picture), and Life is Beautiful (1997 Academy Award for Best Foreign Language Film). Approaches to the subject have been cold and unsentimental like Tim Blake Nelson’s 2001 film The Grey Zone, offensive and misguided as in Jerry Lewis’s notorious unreleased comedy The Day the Clown Cried, and surreal, madcap, and experimental like the music-hall inspired Peter Barnes’ play Laughter! That so many writers keep returning to the subject with a variety of approaches is not without reason given the topic, so brutally grim and demanding that it is impossible to capture even a fraction of the horror in a work of art. 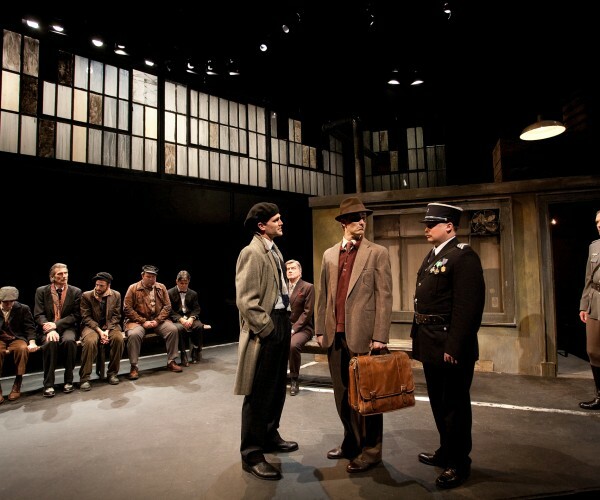 But Incident at Vichy is an entirely different endeavor, a Holocaust play that isn’t really about the Holocaust. In it, Miller refuses to play by the rules. He doesn’t sentimentalize, he avoids the absurd but is not strictly naturalistic, the Nazis aren’t evil by definition, and the victims bicker and loudly display their personal biases. 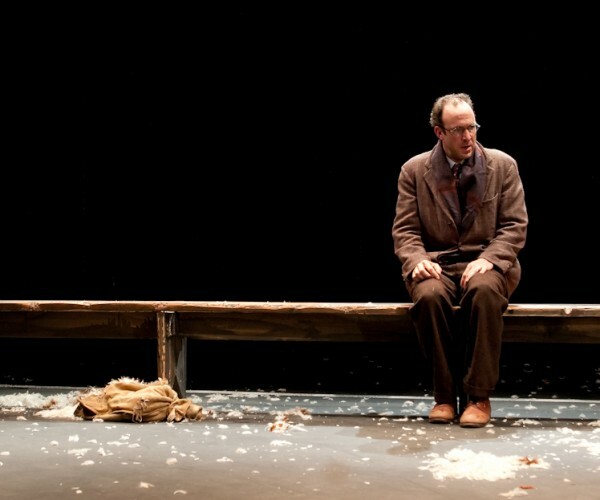 What really separates Miller’s play from others, however, is its deep intellectual and emotional component, one that expresses both his regard and despair for the entire human experience, beyond any specific time or location. 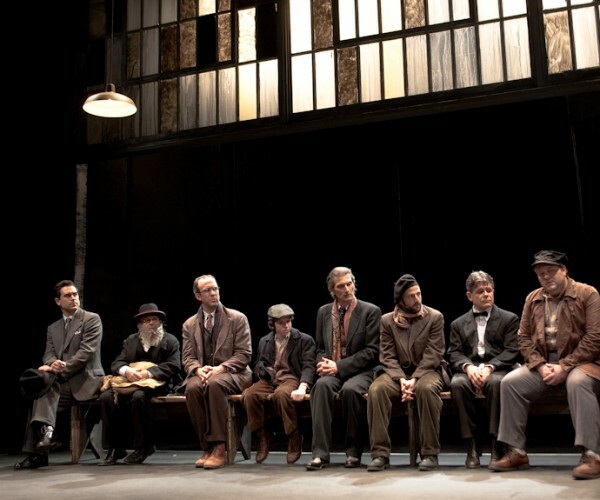 In short, it is a play of philosophy rather than polemic, and critics and audiences have continually misunderstood this since Vinchy’s initial performance. Arthur Miller, born in Manhattan in 1915, grew up in a secular Jewish family in the United States without personal or direct experience of the Holocaust. His began his career in the Federal Theater Project, a New Deal funded arts organization. When success hit, Miller became one of the most important American playwrights, largely on the strength of three landmark plays, All My Sons (1947, Broadway revival 2008), Death of a Salesman (1949), and The Crucible (1953), a denunciation of McCarthyism disguised as a play about the Salem witch trials. By the premiere of Incident at Vichy in 1964, Miller was equally famous for his plays and for being Marilyn Monroe’s former husband (the pair divorced in 1961, a few months before Monroe’s death). This latter experience had inspired After the Fall, Miller’s other 1964 play, written along with Vichy for the new Lincoln Center theater company. After the Fall and Incident at Vichy were Miller’s first major plays in nine years, but they couldn’t have been more different structurally. While After the Fall was nonlinear and disjointed, jumping around time to reflect the memories and regrets of its lead character (the play is set inside the landscape of his mind), Vichy takes place in one unbroken block of time in a single location. For a playwright of Miller’s status, the pressure was enormous and expectations were high for these two works. Miller had been writing constantly during the nine-year gap between his last and latest plays, but he refused to stage any writing that he deemed below par. For a perfectionist like Miller, 1964 was a major risk, capable of becoming either an epic downfall or a victorious return to form. The impetus for Vichy was a 1964 trip to Europe to cover one of the Nazi war-crimes trials in Frankfurt. Writing about the experience in his essay, “The Nazi Trials and the German Heart”, Miller describes the proceedings as “becoming more and more abstract” since the seemingly normal defendants “could pass for anybody’s German uncle.” Struggling to reconcile the kindly faces with their murderous deeds, Miller wonders how a gentle nurse or neighborhood pharmacist could have once been the man leading prisoners to gas chambers or randomly shooting Auschwitz inmates. The questions begin about Germany: could it happen again? How does a civilized country allow such things? Yet, in this early essay, Miller is already working out the broader themes he would later dramatize in Vichy. One clue comes in the response of three policemen to a newspaperman’s query. Periodically, the judge in the war-crimes trial ordered the press to leave the room, and the police were in charge of carrying this order out. When the three policemen were asked whether they would be willing to shoot a journalist who refused to vacate if the judge ordered it, only one of the three said he would refuse. Twenty years after the peak of Nazism, the power of authority still held sway, not a good omen for what Miller calls “individual conscience and responsibility in the face of inhuman orders.” What does it mean when someone uses the excuse of “just following orders?” Who is responsible when murder is committed, and when are we complicit? Most of the original audience did not get it. The 1964 Lincoln Center production was directed by Harold Clurman and starred Joseph Wiseman as Leduc, David Wayne as Von Berg, and Hal Holbrook as the Major. At the time, Incident at Vichy, while praised by a number of critics as a suspenseful and inventively staged piece, was dismissed as minor Miller. 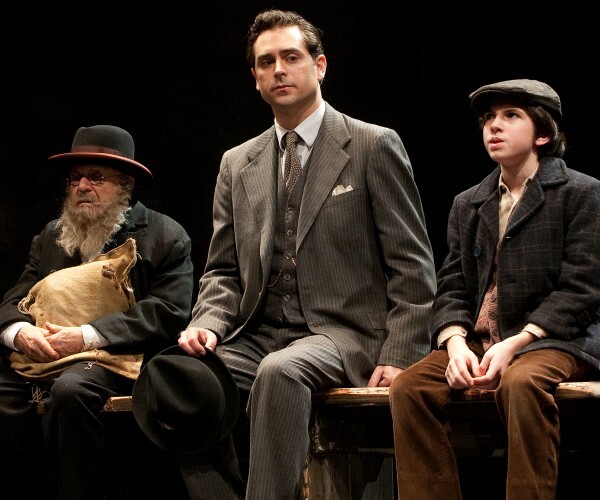 The New York Daily News suggested the play might have been a bigger success in 1942 than 1964, and Walter Kerr, writing in the New York Herald Tribune, accused Miller of moral blackmail, not allowing his audience to complain about the play since it deals with that most serious of subjects: the Holocaust. What these critics and others failed to grasp was that the play has little to do with the Holocaust itself. Kerr complained that Vichy attempts to make the audience feel guilty for Nazi crimes they were not culpable in, but he only gets Miller half right. Miller is writing about guilt, but not specifically about the Nazi regime or any other one point in time. Amid the mixed notices came Howard Taubman’s declaration in The New York Times that Vichy was “one of the most important plays of our time.” Taubman called the play “a drama of towering moral passion,” “a thundering cry of anguish and warning” that “returns the theater to greatness.” Taubman understood the larger questions at work in the play, but a slew of letters in The New York Times responding to his rave review again brought up issues about historical aspects of the play. One complained about the ease with which any artist could use the Holocaust for an emotional reaction, and another took issue with Miller’s hero not being Jewish. Perhaps at the time, only twenty years following the end of the war, the events were too fresh in people’s minds to distance themselves from. 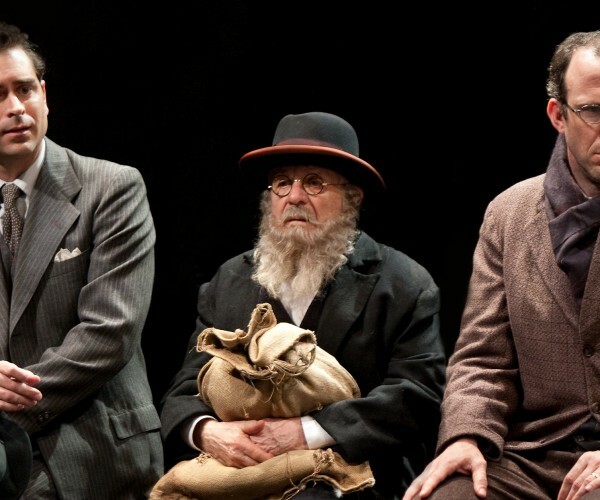 The Holocaust may have been too sensitive a setting for a play of ideas. The critical response to Peter Wood’s 1966 London production, starring Alec Guinness and Anthony Quayle, was even more lukewarm. 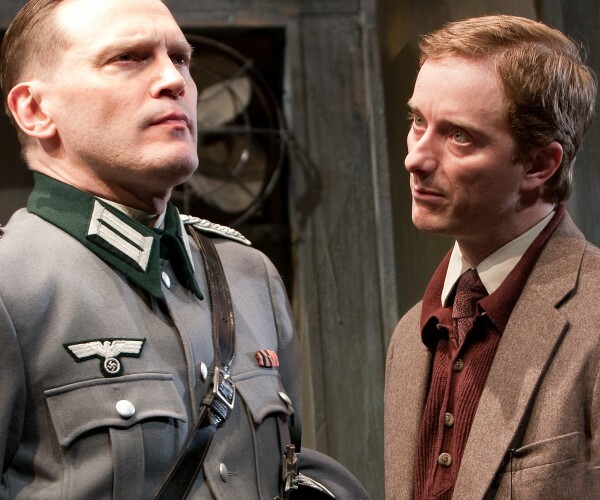 The London Times described it as “a one-act debate on the Final Solution,” completely dismissing the play as anything but a Holocaust tale. 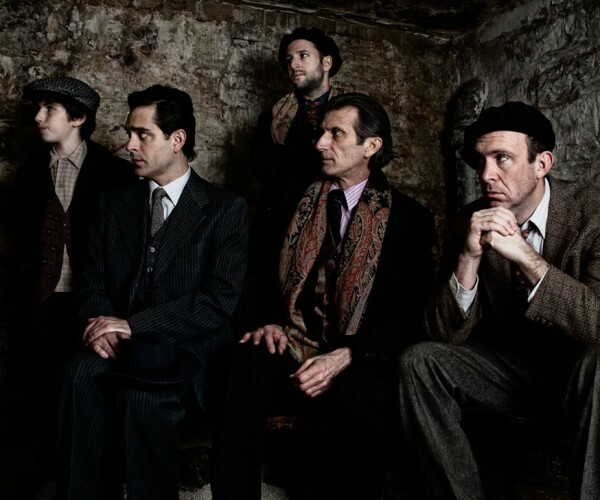 More than a commentary on Nazi collaborators, Incident at Vichy is a contemporary play. It has a historical setting, but it is about our lives today. In an interview, Miller brings the play into his world: “The occasion of the play is something that happened twenty years ago. The play is about tomorrow morning.” In other statements about Vichy, Miller gives references to Harlem slums and corporate crime, situations where law-abiding citizens nevertheless profit from inhuman atrocities. We might be removed from the crime, but how can we evade responsibility? Miller described Nazi Germany as the “turning point of this age,” the ultimate “destruction of the individual’s capacity for choosing.” It is a nightmare of conformity, an assembly line mentality that is capable of producing a unified groupthink destructive to the very idea of individual thought. In a world of gentrification, Walmartization, and Starbucksification, where genocide occurs in Darfur and we don’t blink an eye, where writers are silenced in a country we send our greatest athletes to for a competition to win a little gold medal, where fascism has been merged with extremist religion, and where numerous crimes against humanity occur not only in the third world, but in the first world as well, how can anyone stay innocent? The men detained in Incident at Vichy do not exist in a void. What we, each and every one of us, needs to ask is not how such atrocities could have taken place in the past or what we would have done in their situation, but what we should do now. Gentile or Jew, we might not have the power to change the entire world, but we have the power to change our own actions. And to those above us, we have the power to say no. Vichy is not a direct call to action, but it is an attempt to make us aware, at least for an instant, that terrible things go on around us, and we often ignore them as long as they aren’t our direct problems. On the other hand, Incident at Vichy is also a reminder that exceptional people do exist, people willing to sacrifice everything they have in order to ease the sufferings of others. We cannot all be expected to make this ultimate sacrifice, but we can be encouraged to make smaller ones, and we can learn to make ourselves aware of what goes on around us. When moving into a newly renovated Harlem apartment complex, we must know about the former displaced residents. When watching the Olympics on television, we must be aware of the impoverished Beijing residents whose homes have been whitewashed by the authorities to beautify the city. When wearing sneakers or eating processed food, it is important to reflect on how the luxury items we enjoy daily get to us. A failure to do this is willful ignorance. We ask how the Nazi atrocities could have occurred with the consent and approval of the German population. We need not look to the Germans – the answer lies inside ourselves.